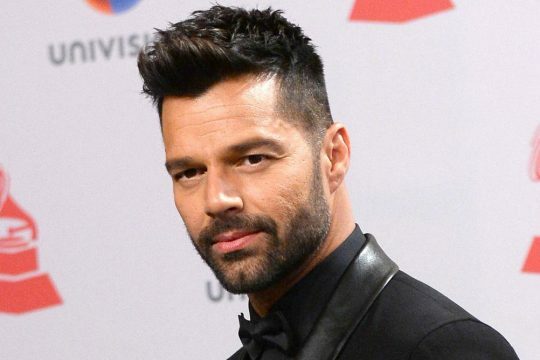 TV’s biggest workaholic, Ryan Murphy, is continuing his habit of transforming pop stars into actors by casting Ricky Martin in American Crime Story: Versace. The anthology series, which has covered OJ Simpson in its first season and Hurricane Katrina in its second (due to air in 2018), will spend its third outing getting to grips with the tangled life of Gianni Versace, the famous fashion designer who was murdered by serial killer Andrew Cunanan in 1997 (the already announced fourth season will be about Monica Lewinsky). Martin is to play Antonio D’Amico, Versace’s long-time partner famous for being granted an impressive pension of $50 million lire a month for life (and the right to live in any of the designer’s homes in Italy or the US). Sounds pretty sweet, right? Well, unfortunately for him, the Versace family just plain doesn’t like him very much (Donatella: “I respected him as the boyfriend of my brother, but I never liked him as a person”) and Antonio got only a fraction of his pension in the end. Series creator Murphy, currently wowing audiences with mega-hit Feud: Bette and Joan, has already made a screen star of Lady Gaga (her turn in his American Horror Story nabbing her a Golden Globe) and no doubt Martin hopes he’ll do the same for him. Things should be pretty smooth on set at least – the pair already have history together – with Martin appearing in an episode of Glee. The actor will be joining Édgar Ramirez, Penélope Cruz and Darren Criss on American Crime Story: Versace, which should be with us in 2018, six months or so after the second season.